On Thursday University of Pennsylvania David L. Cohen, Chair of the Board of Trustees and President Amy Gutmann announced that the university would be removing Steve Wynn’s name from campus. The university also announced it would be revoking Bill Cosby’s honorary degree. Wynn, a former Penn Trustee and alumnus, recently resigned from his position as RNC finance chairman under Trump after allegations of decades-long sexual abuse against him emerged. The board of directors at Wynn Resorts also launched an investigation into the allegations, which Wynn denies. In a statement sent to the Penn community, Cohen and Gutmann wrote that Penn will be removing the name Wynn Commons from an outdoor plaza on campus, that Wynn’s name will be removed from a scholarship fund he established (though the scholarships will still be rewarded), and the university will revoke his honorary degree. They also announced that they will revoke Bill Cosby’s honorary degree. 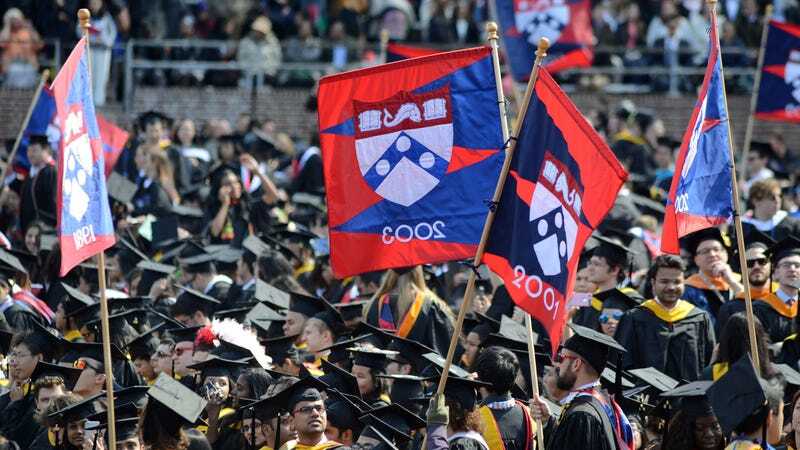 Previously the university denied they would do so, with a spokesperson for Penn telling press in 2015 it’s not in the institution’s practice to revoke degrees. Since the allegations first emerged against Cosby he has had several of his honorary degrees revoked by major universities. The removal of Wynn and Cosby’s names from campuses is a step in the right direction when it comes to hearing and honoring the testimonies of assault survivors and I hope that other universities follow suit. Students don’t want to walk into a library or school wing named after a serial abuser. But it’s worth remembering that many colleges, including Penn, are less decisive when it comes to internal abuse at the hands of classmates and faculty—problems that can’t be fixed by simply removing a plaque.